This month, Topshop Beauty will turn 5 and to mark this occasion, Topshop has released a limited edition collection with their top products in a beautiful rose gold packaging. I believe it’s called Topshop 5 Years of Beauty. 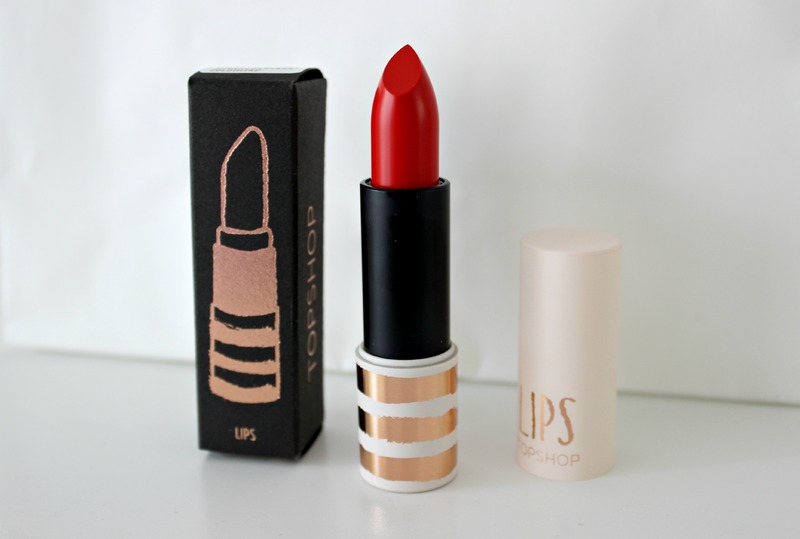 I have quite a few Topshop Beauty products especially lipsticks and I love them. 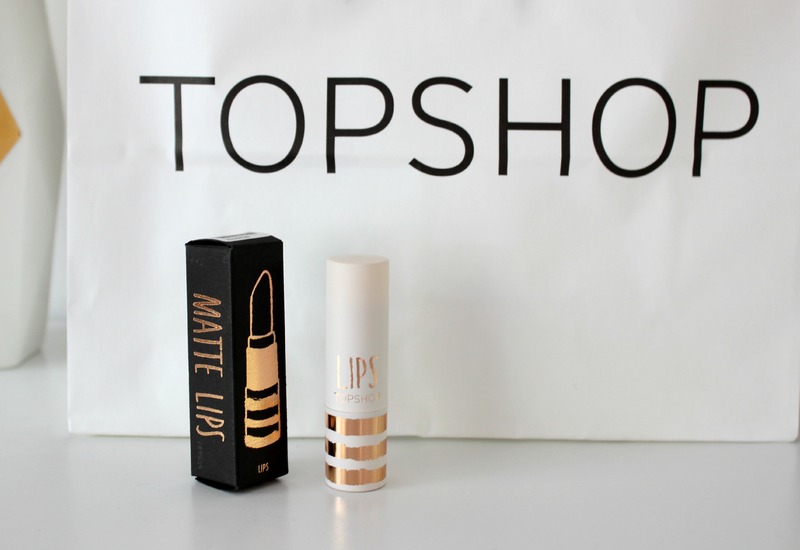 I feel like Topshop makeup doesn’t get talked about a lot but I think they are great. Although I have most of the products in the limited edition collection already , I picked one thing up that’s been missing in my own lipstick collection. Check below to see what I got and some swatches. 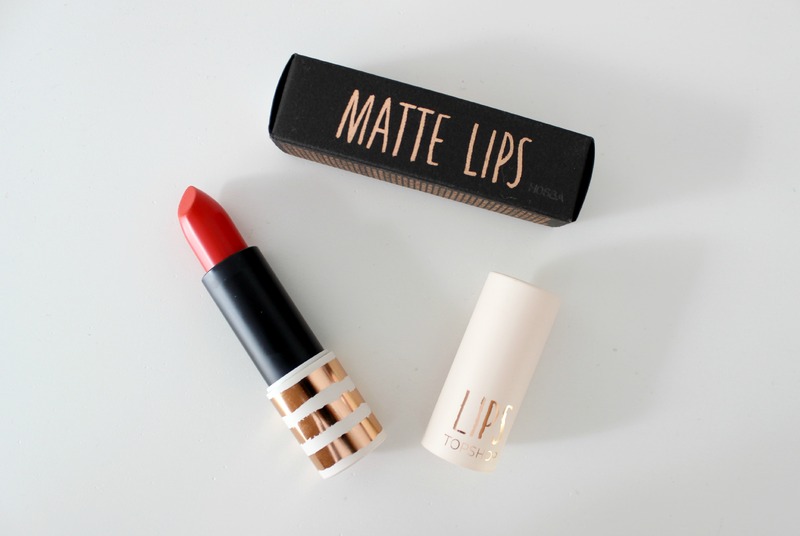 The lipstick is still in the usual white tube but instead of the original black lines and text, it is a rose gold colour. The box also has the rose gold detail. The packaging is so up my alley. I love rose gold. The shade I got is Rio Rio which is a matte orangey-red colour. My sister has this lipstick so I already knew I will like it. There are only two lipsticks in the collection I like and it is Rio Rio and Beguiled which I already have in the normal packaging. The other three lipsticks (Nevada, Ohh La La and Innocent) are too light for me. This is the difference in packaging. For some reason, the limited edition lipstick is slightly taller than the normal one too. 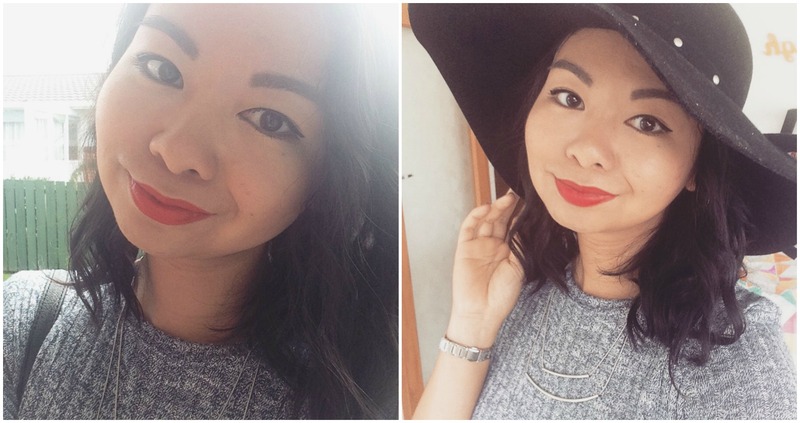 Here’s what the lipstick looks like swatched on my hand and on my lips. This is after I’ve done my makeup and before I did my hair. I really like the colour. 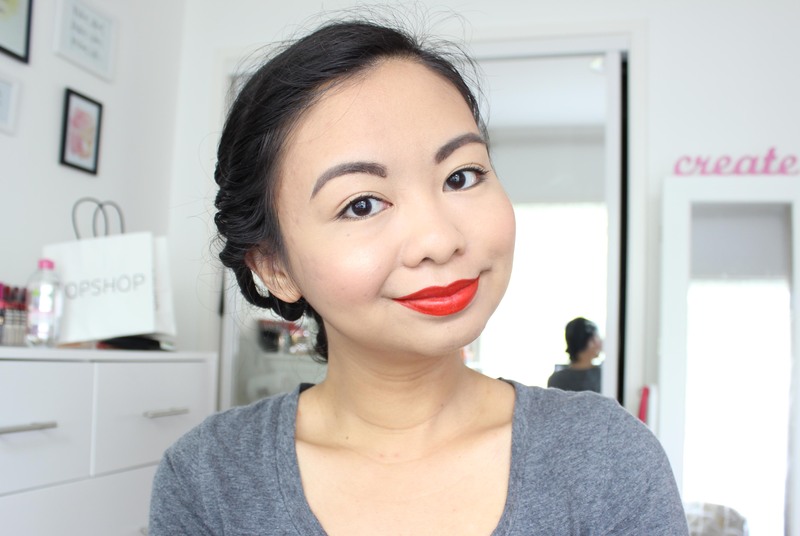 I love bright lipsticks anyway and this is a nice bright shade that it still quite wearable. I’ve worn it both days this weekend and have taken many selfies. To get your hands on them, visit the Topshop flagship store in Queen Street, Auckland. When I went on Thursday, they had all five lipstick shades in the limited edition packaging. I know the collection also has blushes and nail polishes but I didn’t see them in store. This post is not sponsored. I truly love Topshop Beauty products. This looks so nice! 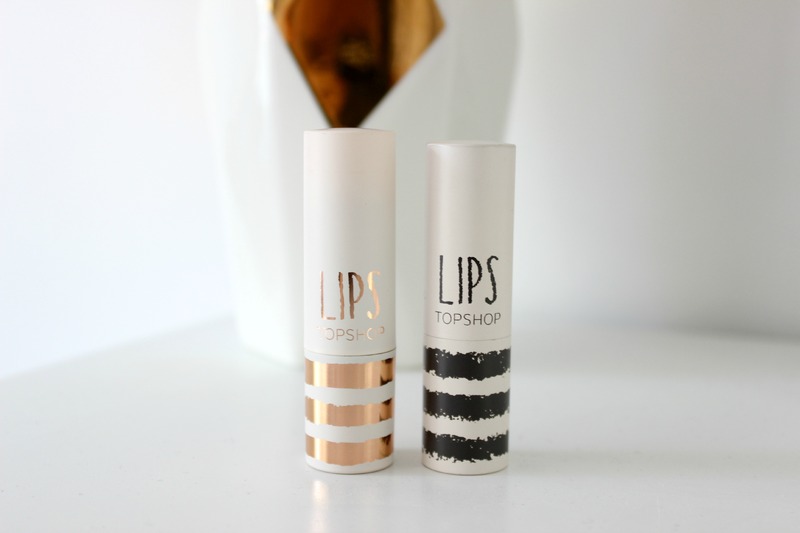 I still need to head into topshop for their beauty section!